Christopher Michael Pratt was born in Virginia Minnesota, but raised in Lake Stevens, Washington. At the age of 18, Pratt and a few friends from his hometown decided to move to Hawaii. He was working at Bubba Gump Shrimp as a waiter when he was discovered by actress/director Rae Dawn Chong, who was looking for a lead actor for her movie Cursed Part 3. Pratt was charming and very forward with his sense of humor. Chong gave him an audition and four days later, production began in Los Angeles for her directorial debut and his first acting experience, which paid $750. He used the money to buy a car and continued his acting career by booking more auditions. The audition process lead to more work and in 2002, he became a household name when he landed a lead role as Bright Abbot on The WB's Everwood. He then went on to star in nine episodes of The O.C. as Che, a hippy, nature-loving activist who became Summer's friend. Since then he has gone on to star in many movies alongside A-list actors. However, he's also well known for his gig in the comedy television series Parks and Recreation as Andy Dwyer. In 2008, he appeared as James McAvoy's best friend in Wanted , which also starred Angelina Jolie and Morgan Freeman. He has also performed with Megan Fox in Jennifer's Body and with Brad Pitt and Jonah Hill in Moneyball , which was nominated for several Academy Awards, including Best Picture. In 2012 he starred in the comedy The Five-Year Engagement alongside Jason Segel and Emily Blunt, playing Alex, a character who has the good life and everything Segel's character could have had. His other films include Delivery Man (2013) and The Lego Movie (2014), but it was his starring role in Guardians of the Galaxy (2015) that propelled him to leading man status. Ha later starred in the hit movies Jurassic World (2015), The Magnificent Seven (2016), Passengers (2016), Guardians of the Galaxy Vol. 2 (2017), Avengers: Infinity War (2018) and Jurassic World: Fallen Kingdom (2018). More recently, he lent his voice in The LEGO Movie 2: The Second Part (2019). On July 9, 2009, Chris married comedian and actress Anna Faris, whom he was seen with in the movie What's Your Number? , playing one of Faris's old boyfriends, nicknamed Disgusting Donald. 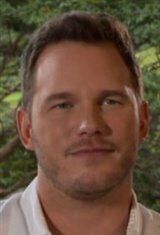 Pratt told Interview magazine that he had to audition for the role, even though Faris was the lead actress as well as the producer. When it comes to auditioning for roles, Chris said, "We treat it like we're strangers to one another... I like to think that if we didn't know one another and weren't married and weren't friends, I still would have gotten this role, because I auditioned for it." Chris and Anna have a son, Jack Pratt, who was born August 25, 2012. Unfortunately, Chris and Anna announced their separation in early August 2017. On January 15th, Chris announced his engagement to Katherine Schwarzenegger.